Those looking for a brief virtual look at the Kingdom Hearts world(s) are about to get a special treat for their PlayStation VR. Kingdom Hearts fans looking for that elusive final chapter of the game's trilogy won't have to wait much longer. But as Kingdom Hearts 3 hits the home stretch, PlayStation VR owners will have a special something to help tide them over before that January release date. 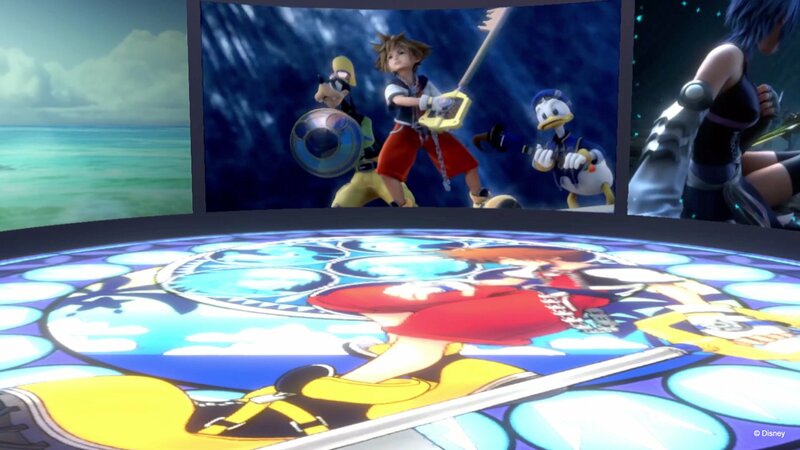 On Monday, Square Enix and Disney revealed the Kingdom Hearts: VR Experience. Developed by Square and the folks at Sony Interactive Entertainment, this special Playstation VR add-on contains a 10-minute interactive video containing the series' distinct and epic orchestral soundtrack. There aren't many more details regarding what this will contain, but players can unlock more content as they go on and also give themselves a bit of a Kingdom Hearts refresher before the third game releases. The Kingdom Hearts: VR Experience is set to release on PlayStation VR during the holiday season as a free download. This will help lead into Kingdom Hearts 3, which releases on PlayStation 4 and Xbox One on January 29.